Nanjing has announced the construction of a new MG plant in southern Oklahoma. The exact investment in the development is unknown but analysts predict the Chinese manufacturer has now spent around $2bn reviving the brand in the UK, China and America. The Oklahoma site is expected to create 550 jobs and construction will begin next year. The first cars will roll off the production line in the third quarter of 2008. It’s hard to miss the irony in this story. A famous English sports car marque is to be produced by a Chinese company in Oklahoma! This whole thing strikes me as very strange. Is it possible the Chinese are just saying they will be doing this so as to gain political points in the U.S. for now? It is possible. 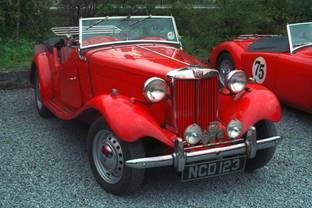 They have also announced they will re-open the former MG plant at Longbridge in the UK on a small scale in 2007. I suppose only time will tell.